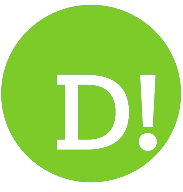 By Jon Smith on 2018-11-19 - Jon is a senior motoring journalist with a background writing for weekly/provincial daily and national newspapers and magazines. He has held executive news and features positions in Fleet Street and evening titles. Former Pirelli Motoring Writer of the Year winner. 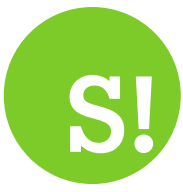 Currently specialising in product launches, safety issues, car tests and future motoring trends. YES, SUVs are all the rage. We know that. 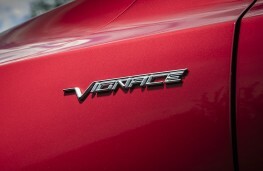 We also know that they don't suit everyone - especially if you enjoy spirited driving and value handling finesse. 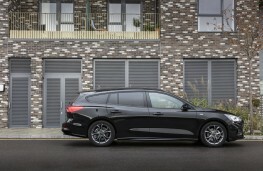 Conventional three-box saloons are a no-no if you need practicality and serious luggage space, hatches are often too small...so it's back to the estate car for that acceptable blend of saloon car-like dynamics allied to van-style cargo capacity. 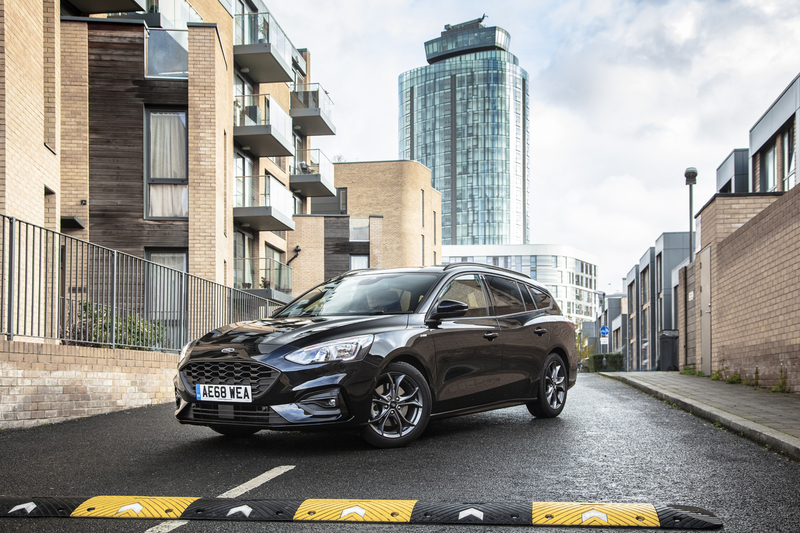 The new kid on the block and one the most well known brands on the market is the Ford Focus Estate based on the recently released latest generation of the chart-topping hatchback. 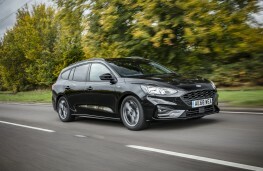 Sleeker looking, though immediately recognisable, the newcomer packs all the techno goodies and developments of the five-door. 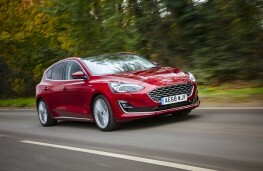 But there's one big change that is bound to appeal to the countless reps who hack up and down the motorways packed with samples, boxes and whatever else their job requires - boot space has rocketed from a measly 475 litres to a near class-leading 608 litres despite external dimensions being very similar. There's also a space beneath the platform where the luggage cover can be stored when it's not required. 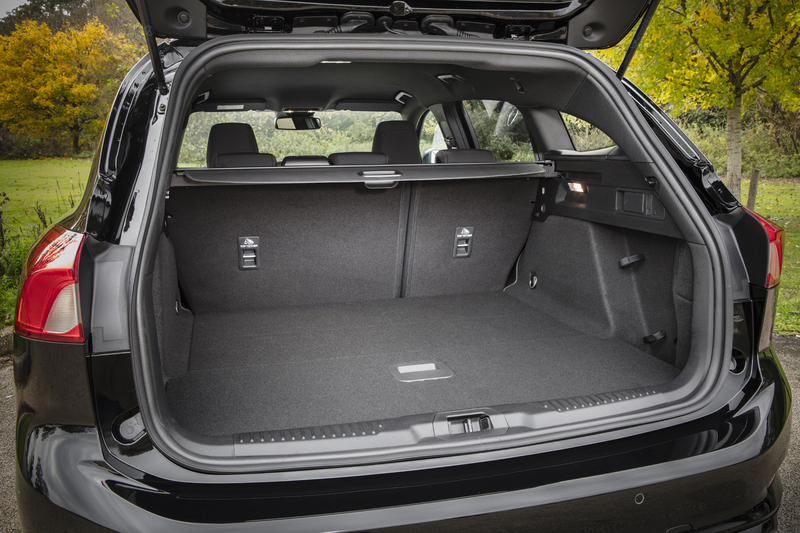 When the rears seat is folded the platform is virtually flat and can carry 1653litres of cargo. 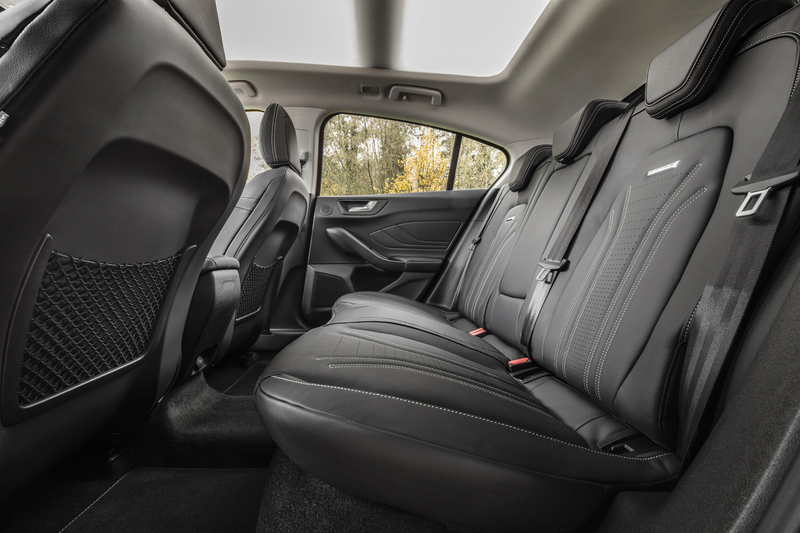 The cabin design and trim is better than the outgoing model but lacks the style or ambience of rivals like the VW Golf, Skoda Octavia or those from Kia. 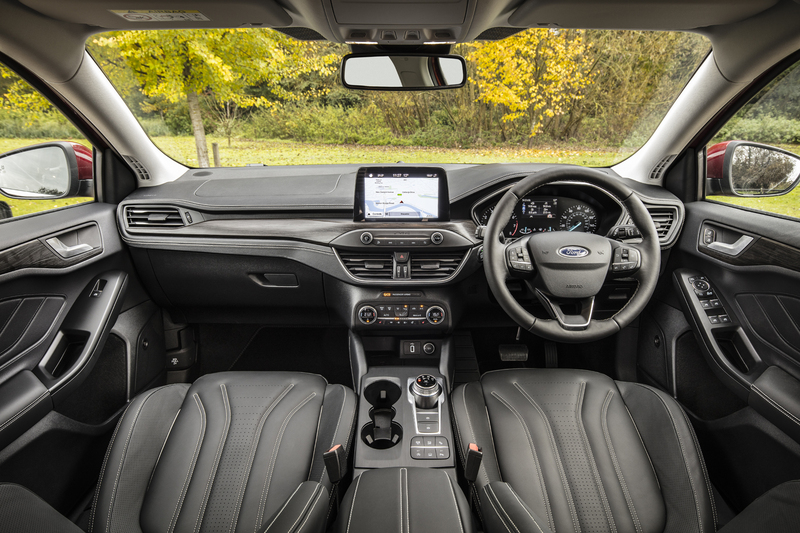 There are few soft touch materials and the 6.5-inch touchscreen fitted to the Zetec and ST-Line isn't too impressive though it does pack in sat nav, Apple CarPlay and Android Auto. Titanium and ST-Line X versions upgrade to an eight-inch system. 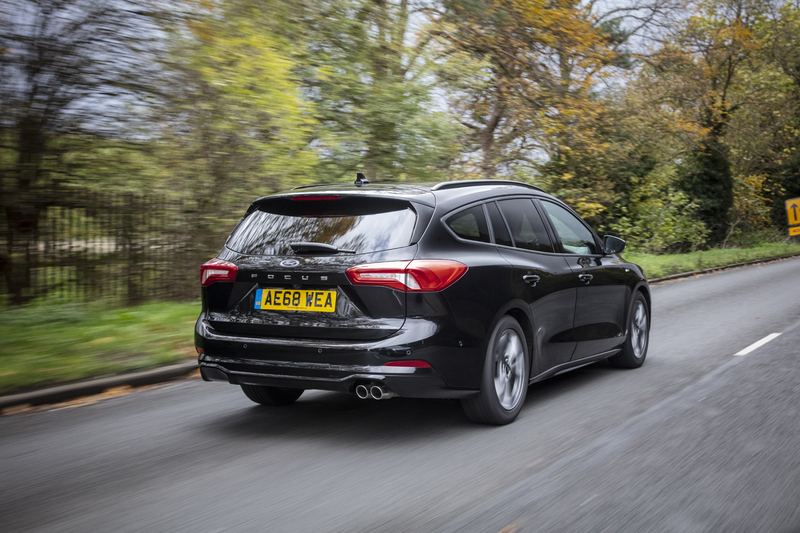 At the top of the tree is the Vignale with six-way power seats, heated steering wheel, full leather trim and B&O audio system. 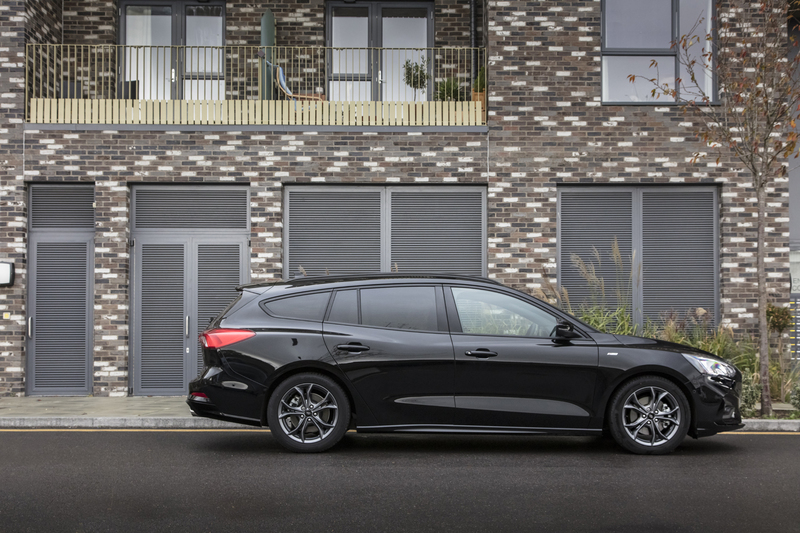 Faux chrome and wood plus a splattering of carbon fibre-like material lift the fascias of some models but the overall impression is unexciting though undoubtedly durable and practical. 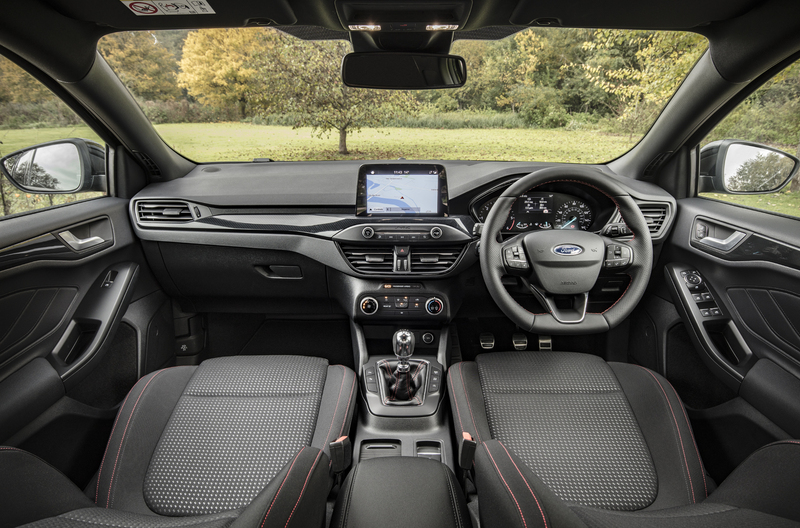 The option of a glass sliding panoramic roof lightens the interior and makes summer motoring a bit more fun. There's a veritable sweetbox selection of engines to choose from range from two petrol three-cylinder units. 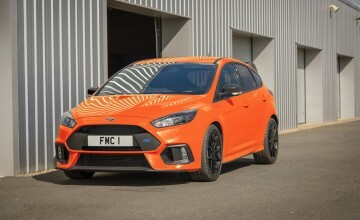 The 1.0-litre version is available in three stages of tune from 84bhp to 123bhp, and the 1.5-litre can be had either as 148bhp or 180bhp. 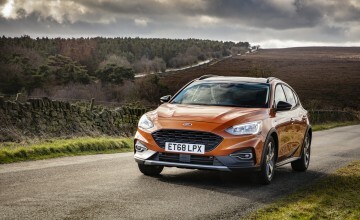 If you are more interested in diesel the choice is between the new 1.5-litre diesel either in 94bhp or 118bhp form or a 2.-0litre which knocks out 148bhp. 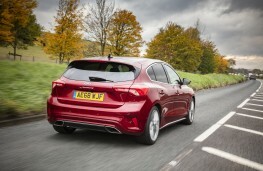 I was able to sample both the more powerful 1.5 diesel and the 123bhp 1.0 petrol. Of the two, it was the baby petrol three-cylinder that carried most appeal - for its enthusiastic acceleration and the general level of refinement. 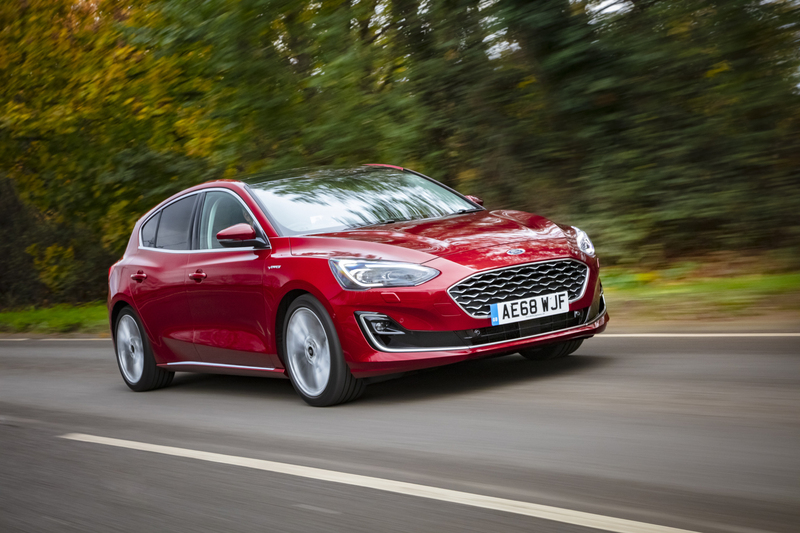 But no doubt high-mileage users with an eye on motorway economy would tend to favour the 60mpg-plus real-world capability of the diesel version. It's definitely quieter than the old 1.6 diesel but there's still a familiar distant rumble that reminds you it's an oil-burner. The standard six-speed gearbox is fitted across the range - is a treat thanks to the slick, light change. An eight-speed auto with centrally-sited rotary knob is available on some models. An area where Ford remains at the forefront among mass manufacturers of reasonably priced cars is ride comfort. And the new Focus estate continues to maintain this tradition. 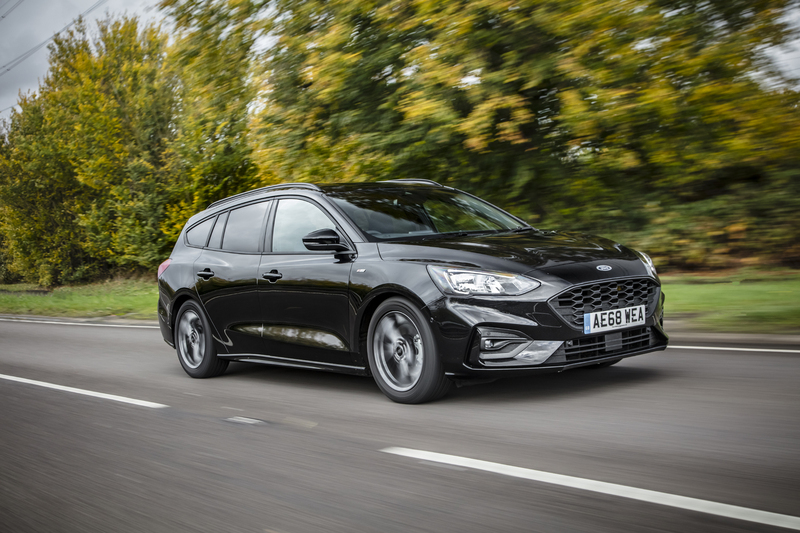 Although cornering roll is limited, there's ample vertical movement to absorb all but the worst English and French roads could throw at us during the drive. 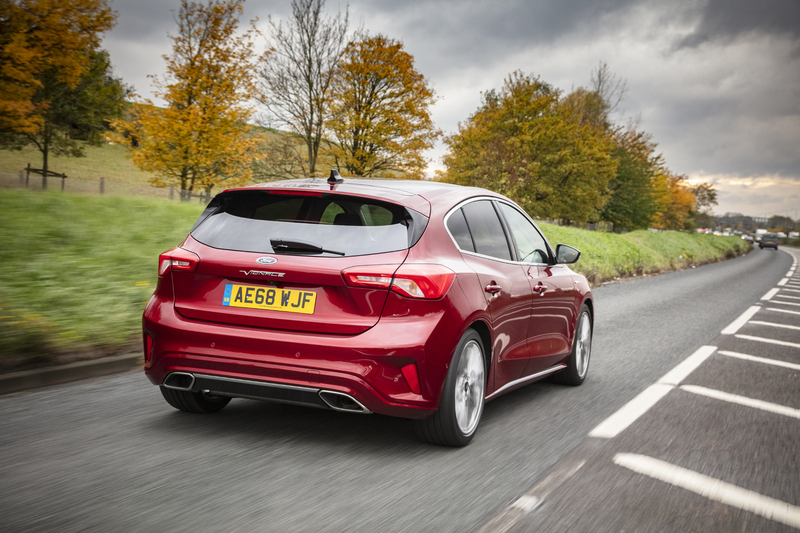 Another big plus is the nicely weighted steering which manages to direct a degree of feel back to the helm despite reasonable absorption of jolts from rough road surfaces. 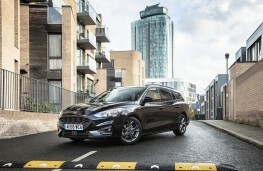 The Focus Estate comes with a choice of eight trim levels and eight engine options. 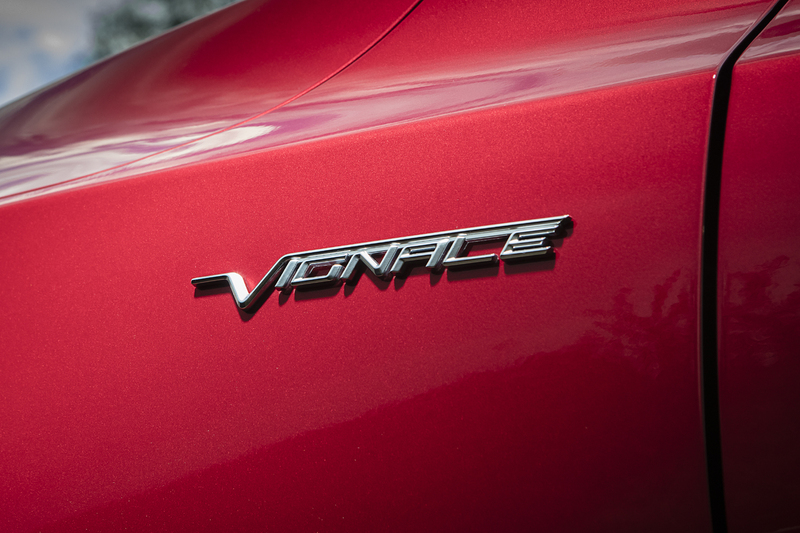 Prices are from £19,400 to £29,300 for the Vignale version. 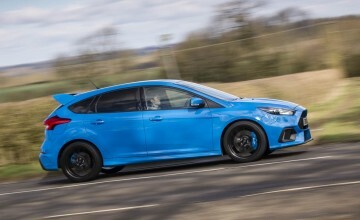 The most popular model is anticipated to be the ST-Line 1.0 at £23,000.